Valve’s got a treat for gamers in the mood for tricks. The annual Steam Halloween Sale kicked off on Thursday, bringing big-time discounts to spooky games, scary VR experiences, and even horror movies (potentially to remind people that yes, Steam sells movies, too) through November 1. But the big draw is the games, of course. If you’re looking for a spine-tingler to keep you feeling unsettled between now and October 31, many of the games in PCWorld’s list of the best PC horror games are on sale, from Alien Isolation to Resident Evil 7 and Soma. 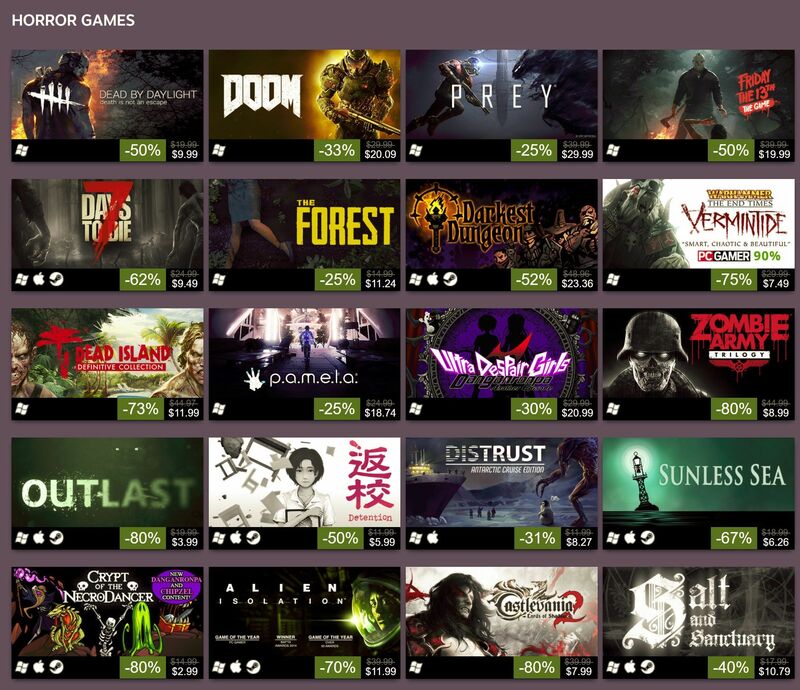 A small sample of discounted Steam Halloween Sale games. You’ll also find some great games that didn’t quite make the list, though some skew more toward “dark overtones” than “outright horror.” Darkest Dungeon is $10, orcs-meet-Left 4 Dead-alike Warhammer: End Times - Vermintide is just $7.50, and if you’ve ever wanted to become a YouTuber that plays up jump scares to amuse your audience, the entire Five Nights at Freddy’s franchise bundle is a mere $7.35. That’s a whole lot of games for not a lot of cash. 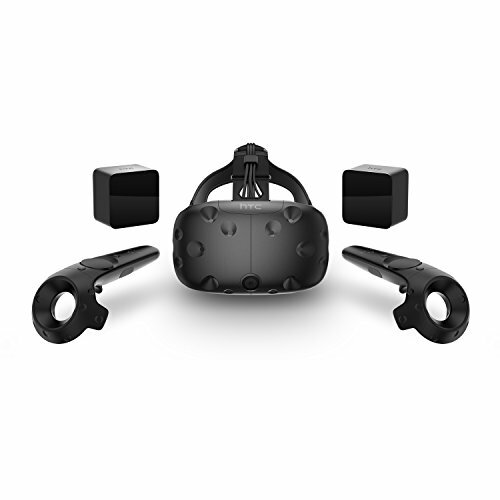 If you’ve bought an HTC Vive, you’ll want to check out the deals on VR games like Dreadhalls and The Brookhaven Experiment. (Bring an extra pair of underwear.) Finally, over 40 different horror movies are on sale at Steam discounts. A lot of them are schlocky garbage, but you’ll find some gems like Evil Dead 2 (for just 75 cents! ), The Cabin in the Woods, The Saw Collection, and From Dusk Til Dawn. I prefer my digital movies via Amazon or iTunes, but Steam’s sale prices are pretty darn compelling—sometimes. All of the deals last through November 1, so head on over to the Steam Halloween Sale at your leisure and see if any of the discounted PC games send a shiver up your spine.